FPV HUB FPV HUB Lipo Batteries - Where to buy in the UK? 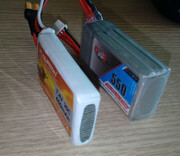 Lipo Batteries - Where to buy in the UK? Re: Lipo Batteries - Where to buy in the UK? I highly recommend the nanotech range of lipos as they seem to have lots of punch but when the voltage eventually drops it drops quickly. I did ask HK chat why the EU can ship for £1.79 and the UKs only option was tracked 24hr or 48hr and they said "at this time the UK has only those options". I highly recommend buying from this ebay seller! Although registered in china these batteries arrived by Hermes delivery on Saturday. I only ordered them on Friday. I'll be trying these out today to see how they go. I did have to replace the existing connector with an XT30 but that wasn't too much bother as I had a few spare. I also used the "Make me an offer" option and paid £5 for 2 lots. In total £10 for 4 batteries delivered the next day! Last image shows what I was using before. How do they hold up next to that GNB lipo you have (which I've always found to be very good) the C rating looks a tad low, and those 2S quads can punish a lipo quite a bit ? And to answer you there 'Not very well'. 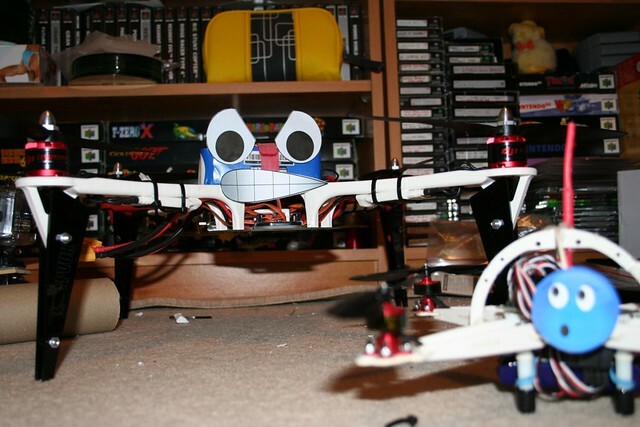 I went out for a quick flight in my lunch and posted up the DVR footage. I can fly around ok but nothing too aggressive. It looks like when I punch-out the OSD disappears. There's noticeably less power. To compare I also did a little flight around with the 3S Gaoneng to show the difference. I get great punch-outs and a whole lot of fun considering it's only 90mm! The only problem I have with this setup is the battery is so heavy I can't recover from a drop. I'll probably just have to live with that. I even just bought some from Wheelspin Models. Plenty of 4s in stock. Good selection too. Having just flown the Babyhawk R 2" and been very let down by my crappy batteries, I'm trying to short list what's good in smaller 3s/4s packs with xt30's. I feel like getting regular 1300 4s is pretty easy, but these smaller lipos are tricker. Not used them myself but I did contact them to ask them to change the price of a lipo from £1745 to £17.45 and they seemed nice and got in touch quickly. My guess is that as Banggood can't ship lipos to UK the UK sellers have little competition!! !